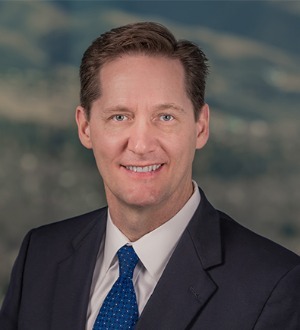 David W. Tufts is an experienced trial attorney who has handled a broad array of business litigation matters, including state and federal trials as first chair and appeals before the Utah Supreme Court and Court of Appeals. Mr. Tufts has enjoyed serving as an advocate in the courtroom on behalf of his clients' business interests for almost 20 years. In so doing, Mr. Tufts has acquired substantive courtroom experience and achieved successful results in a broad array of commercial and business matters. This includes such areas as contract disputes, enforcement of security interests in real and personal property, defending allegations of commercial fraud, securities fraud, and defamation, enforcement of trademarks, patents, copyrights and other intellectual property rights, unfair competition, unjust enrichment, technology disputes, construction matters, mechanics lien enforcement, employment disputes, and real property matters. Mr. Tufts regularly represents institutional lenders and others in regards to the enforcement of their contractual rights under commercial loan agreements or similar transactions involving real and personal property. Mr. Tufts is known for his expertise in obtaining successful results in cases involving the Federal Truth-in-Lending Act (and Regulation Z), the Federal Real Estate Settlement Procedures Act (and Regulation X), the Utah One-Action Rule, the Utah Trust Deed Act, and similar laws that govern the relationships between lender, borrower and guarantor. By way of example, Mr. Tufts was first chair trial counsel and lead appellate counsel in the case of Machock v. Fink, 2006 UT 30, 137 P.3d 779 (Utah 2006), in which the Utah Supreme Court clarified the application of Utah’s One-Action Rule between lender and guarantor. In addition to trial work, Mr. Tufts has significant experience in successfully obtaining pre-judgment relief and related remedies, including obtaining summary judgments for clients, writs of replevin, writs of attachment, and preliminary injunctions. Mr. Tufts joined D|J|P in 1999 after spending the first four years of his practice training as a litigation associate in the Los Angeles office of a nationally ranked 700+ lawyer law firm. Although he spends most of his time in Utah courtrooms, Mr. Tufts continues to actively litigate and try cases pending in California's state and federal courts. For Utah-based clients who are being sued in California this has proven to be a cost-effective way to handle disputes that arise from interstate commercial activities. Mr. Tufts has successfully obtained dismissals of Utah clients who have been improperly sued in California. Mr. Tufts maintains an "AV" rating with Martindale/Hubble, which is the highest rating awarded to attorneys for professional competence and ethics. He is also listed as a Best Lawyer by U.S. News Media Group and Best Lawyers. Mr. Tufts has been nominated by his peers as one of Utah Business magazine's "Legal Elite" in the area of Business Litigation for many consecutive years. In 2013, Mr. Tufts was identified as one of the Mountain States Super Lawyers. In 2010, based upon the recommendation of the Supreme Court's Committee on Professionalism, the Utah Supreme Court appointed Mr. Tufts to serve as a mentor for the New Lawyer Training Program during its inaugural year. Mr. Tufts is active in community service and in pro bono matters. In 2011-2012, he was a volunteer coach of the Woods Cross High School Mock Trial Team, when the team won the statewide mock trial championship for the very first time. He is a past Unit Commissioner for the Boy Scouts of America. In 2006 the Utah Supreme Court appointed Mr. Tufts to serve as a Judge Pro Tempore, and since that time he has served in the Small Claims Division of the Second District Court, Layton, Utah, and is currently assigned to the Davis Justice Court, Farmington, Utah. In this capacity, Mr. Tufts sits as judge once a month. He has decided more than 120 small claims trials since 2006. Recruiting Committee, and before that as Chairman of the firm's Associate Development Committee.